Brazil’s largest oil field Libra will produce one million barrels of oil per day, Brazil’s National Petroleum Agency (ANP) said on Friday. “Libra will have production peaks of one million barrels a day, to say the least,” said the president of the ANP, Magda Chambriard. 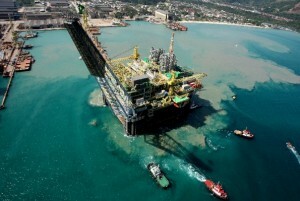 The oil field, discovered in 2010, is located some 180 km off the coast of Rio de Janeiro. Exploration rights for a non-renewable 35-year period would be granted through an auction on 21 October in Rio de Janeiro. Brazil’s new auction rules stipulate that winning bids will be determined by the slice of profit oil companies are willing to share with the government. Brazilian president Dilma Rousseff announced during the recent protests that the government will resubmit a bill to Congress demanding oil royalties be invested exclusively in education. Each operating platform of Libra will have an estimated production capacity of 150,000 barrels per day. The number of platforms was put between 12 to 18 by Chambriard. Brazil will auction two thirds of its oil reserves in October. “All the big guys should be interested in the bidding round we are promoting in October. This is huge,” said Chambriard recently in Singapore. ANP claims the Libra field alone has enough oil to take care of the country’s current consumption rate for 12 years. Libra has recoverable reserves that stand between eight to 12 billion barrels. The winning bidder will operate the field jointly with Brazil’s oil giant Petrobras, as well as Petrosal, a new state-owned company created for operating the pre-salt fields. Petrobras produces around 90 per cent of Brazil’s oil. Edison Lobao, Brazil’s energy minister, had said in March this year that the country would seek Chinese help to “finance refineries and also to form a partnership to explore pre-salt oil and take part in oil auctions”. Chinese companies are also expected to participate in the auction for Libra, according to the ANP. In Brazil, the oil and gas sector represents 12 per cent of gross domestic product (GDP), and in about seven years will represent 20 per cent, according to experts. Brazil currently consumes some 800 million barrels of crude a year, says ANP.